158. The aforestated definition of the term ‘constitutional culture’ is to be perceived as set of norms and practices that breathe life into the words of the great document. It is the conceptual normative spirit that transforms the Constitution into a dynamic document. It is the constitutional culture that constantly enables the words to keep in stride with the rapid and swift changes occurring in the society. 159. The responsibility of fostering a constitutional culture falls on the shoulders of the State and the populace. The allegiance to promoting a constitutional culture stems from the crying need of the sovereign to ensure that the democratic nature of our society remains undaunted and the fundamental tenets of the Constitution rest on strong platform. 161. The Constitutional Courts, while interpreting the constitutional provisions, have to take into account the constitutional culture, bearing in mind its flexible and evolving nature, so that the provisions are given a meaning which reflect the object and purpose of the Constitution. 162. History reveals that in order to promote and nurture this spirit of constitutional culture, the Courts have adopted a pragmatic approach of interpretation which has ushered in an era of “constitutional pragmatism”. “The rule of law envisages the area of discretion to be the minimum, requiring only the application of known principles or guidelines to ensure nonarbitrariness, but to that limited extent, discretion is a pragmatic need. Conferring discretion upon high functionaries and, whenever feasible, introducing the element of plurality by requiring a collective decision, are further checks against arbitrariness. This is how idealism and pragmatism are reconciled and integrated, to make the system workable in a satisfactory manner. 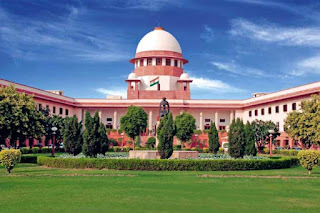 “Be that as it may, sitting as a Judge one cannot be swayed either way while interpreting the Constitutional provisions pertaining to the issues under controversy by the mere reflexes of the opinion of any section of the people or by the turbulence created in the society or by the emotions of the day. We are very much alive to the fact that the issues with which we are now facing are hypersensitive, highly explosive and extremely delicate. 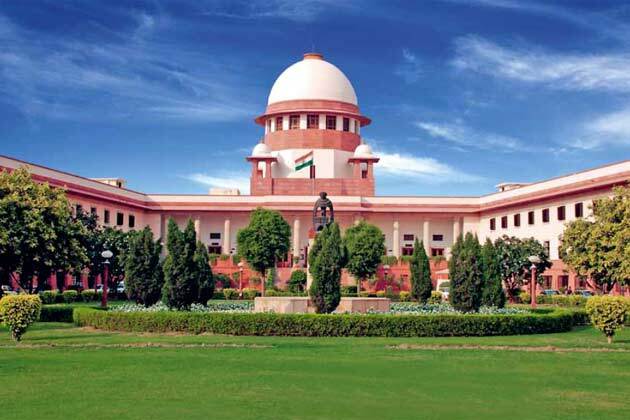 Therefore, the permissible judicial creativity in tune with the Constitutional objectivity is essential to the interpretation of the Constitutional provisions so that the dominant values may be discovered and enforced. At the same time, one has to be very cautious and careful in approaching the issues in a very pragmatic and realistic manner. 170. The aforesaid passages set two guidelines. First, it permits judicial creativity and second, it mentions one to be conscious of pragmatic realism of the obtaining situation and the controversy. That apart, there is a suggestion to take note of the behavioural needs and norms of life. Thus, creativity, practical applicability and perception of reality from the societal perspective are the warrant while engaging oneself with the process of interpretation of a constitutional provision.